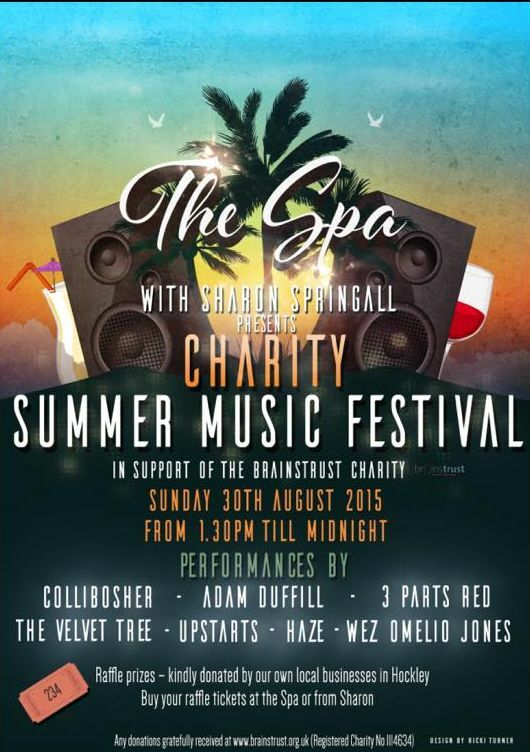 August 30th — We played at 9pm at a Charity gig, Summer Festival at The Spa, 60 Southend Road, Hockley, Essex SS5 4QH. Tel. 01702 204118 — Proceeds went to Brainstrust. Check for details on Facebook event page. March 27th — We were the opening band at the Skamouth event in Great Yarmouth, playing on Friday afternoon, in the V-lounge at 2pm. WebSite. 2pm on Friday. Yet there were plenty of people there to see us, and we enjoyed it! March 14th — 8pm at The Plough, 426-428 London Road, Westcliff-on-Sea, Essex, SS4 09LA. 01702 338038. Facebook — our first gig for 6 months! We had to finally stop doing encores, when our bass player, Dave, who’d had a heavy cold during the week, couldn’t physically go on. We still gave ’em at least 5 encores though. The old body might have not been up to it, but such a reception makes it all worthwhile. June 1st – Welcome Back Chris! We played in the afternoon at the Britannia pub, 6 Eastern Esplanade, Southend-on-Sea SS1 2ER, starting at 3pm. This was Chris’s comeback gig after over 6 months out following the surgery on his hand! Facebook Event – As always, we got a great reception at the Britannia. We love playing there. Soon? Thanks to the Deputy guitarists who covered for Chris in his absence, but it’s nice to have the regular guy back! February 1st: We played at the Fenlands Club, East Tilbury, see Poster! December 7th: We played at the Egham & District Social Club, 132a High Street, Egham, TW20 9HL – Ian Salmon played guitar in the continuing absence of Chris following his hand operation. November 30th: For the Charity Cancer is a C***. 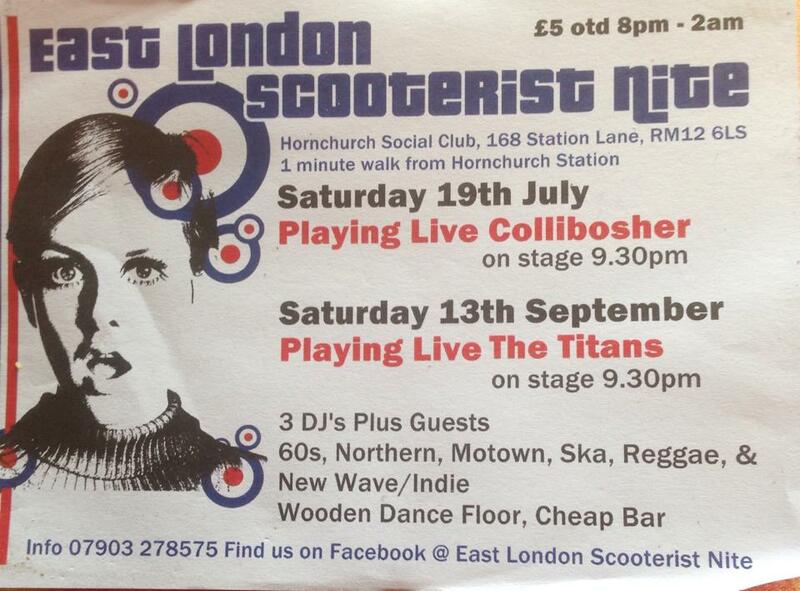 We played at the Charlton Liberal Club, 59 Charlton Church Lane, London SE7 7AE. Following the operation to Chris Gladstone’s hand, he was unable to play at the present time, and Ian Salmon was our deputy guitarist. 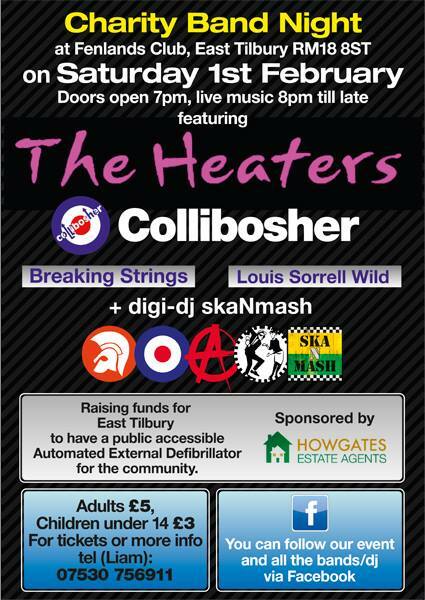 October 4th: We played at The Railway Tavern, Kings Street, Stanford-le-Hope, Essex at 8:30pm. Dave was on holiday and we introduced Ian Salmon as deputy bassist. July 25th: We played at the barbecue for the final shift at the body plant in Fords Dagenham, for the redundant workers. Mark, our singer, is one of them. Any time, lads! July 20th: We played for BATS Scooter Club, 60th Anniversary Rally, Essex Sports Village, Purfleet Road, Aveley, Essex. RM15 4DT. We had a great time! The hall was on the large side, with no PA except for the microphones, but Dave’s new bass amp was up to the task. It’s always guesswork until you get to use it for the first time. July 6th: We were so proud to be supporting The Estimators at the Fiddlers Elbow! Thanks to the lovely Marcello for asking us. We did not get on until 10:30 – here’s the story! February 9th: We celebreated Mark’s 50th birthday, by playing a short set at the Cherry Tree, Wood Lane, Dagenham before handing over to The Astronauts — it was a great night! February 2nd: We played at Bridgehouse2 in Canning Town – Bidder Street, London, E16 4ST — it was a great experience, really enjoyed it. This is a Sunday Afternoon gig, from 2:30pm, welcoming the Vespaholics and Scooter Clubs back from their Remembrance Day Rideout. We’ll be first on, around 8pm. 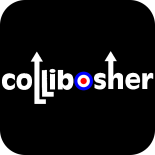 At the door they will ask you who you’ve come to see and we are paid accordingly, so please mention Collibosher.